You are here: Home / Our Animals / Chickens / Do Eggs Go Bad? How Long Do Eggs Last? Here’s What You Need To Know! We all know fresh eggs are best, but what about whether they spoil? Do eggs go bad? Can eggs go bad?? How long do eggs last?? Why Do Eggs Go Bad? How Do Eggs Go Bad? Yes, eggs can go bad, but do you know WHEN do eggs go bad or how long do eggs last? In this article, I answer all these questions. We’ve made the mistake every so often of forgetting that we left eggs on the counter, or one of the kids hid an egg in an undisclosed location. We’ve always found them eventually – and it’s not been a pleasant find. When eggs rot, not only do they stink – they turn black and gooey. It’s really an experience you’re better off not having. Eggs go bad even when they’re refrigerated – they definitely have an expiration date. It’s not usually the date printed on the carton (if you happen to have bought eggs at the store – if you did, consider getting chickens). How long do eggs last? It can take quite a bit longer for eggs to go bad, but they will, beyond a shadow of a doubt, spoil. When eggs are laid, they’re covered with something called “the bloom,” a cuticle or natural covering that keeps bacteria out of the egg, keeping it fresher for longer. It’s an evolutionary advantage that helped chickens reproduce successfully – and egg that can easily be contaminated won’t hatch or will hatch weak and sickly chicks. Store-bought eggs (at least in the US) have had the bloom removed – so if you’re wondering “how long do eggs last?” not only do eggs go bad, store bought eggs will rot faster, even when refrigerated. This is because they’re more susceptible to bacteria entering through the shell and contaminating the albumen (egg whites) and the yolk. Not a good thing! Farm fresh eggs – that haven’t had the bloom removed – will still spoil, but at a slower rate. As the bacteria enters the egg, it will reproduce and grow, feeding on the nutrients – particularly if you’ve left the eggs on your shelf and not in the refrigerator.Eventually, so much bacteria gets into the egg that the insides turn black – and very stinky. 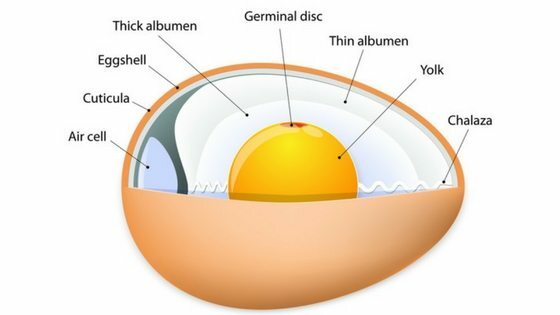 Learn more about the insides of a chicken egg. If you wonder “how can you tell if eggs are bad,” there’s a few different ways. Does it pass the smell test (in other words, does it stink)? If you smell anything – just toss it. Fresh, healthy eggs don’t smell at all. You might be wondering how long you can leave eggs out before they become rotten. There’s a few different answers to this questions. Fresh eggs with the bloom on can last quite a while – 2 to 3 weeks. However, they WON’T be fresh or as healthy for you..
You’ll notice the air sac at the “fat” end of the egg is larger. You’ll also notice, when you crack them, that the yolk might be runny (this is because the membrane holding the yolk together weakens over time) and the albumen (egg whites) are clear – all signs that your egg is no longer fresh nor as nutritious. So how long do refrigerated eggs last? According to the United States Food Safety and Inspection Service, part of the USDA, which has also answered the question “do eggs go bad?,” refrigerated eggs can still be refrigerated 4-5 weeks after their expiration date – so for fresh but refrigerated days, they can last up to 2 months inside the refrigerator. 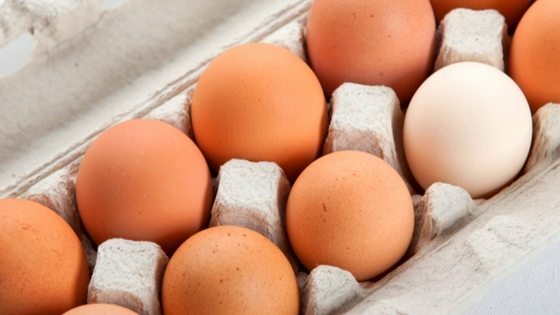 If you want to preserve fresh eggs for long term storage, here’s an article that shows you how. So, if you’ve been wondering “do eggs go bad?” or “how long do eggs last?” you can feel quite sure that as long as you leave the bloom on and keep them in a cool area, they’ll last quite a while. How long do eggs last at your house? Have you ever cracked open a bad egg? Tell me all about it in the comments below! Information you can TRUST by a recognized backyard chicken expert featured in Reader’s Digest, Glamour, and on major news networks like ABC, CBS, & NBC. And START spending every possible minute playing with & enjoying your pets (without the worry)! 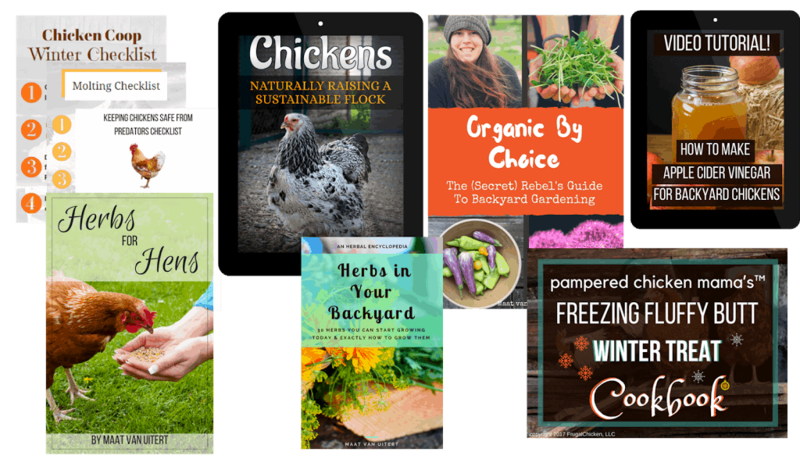 Get your Backyard Chicken Bundle here!